Ah, your beloved bedroom. The place you can’t wait to run home to at the end of a long work day. Unfortunately, many times your bedroom is not styled for its sole purpose – sleep. Have you ever walked into a white, clean, room with light blue accents and instantly felt relaxed? If you did, there is science to prove why. Your room style and structure can significantly affect your quality of sleep. 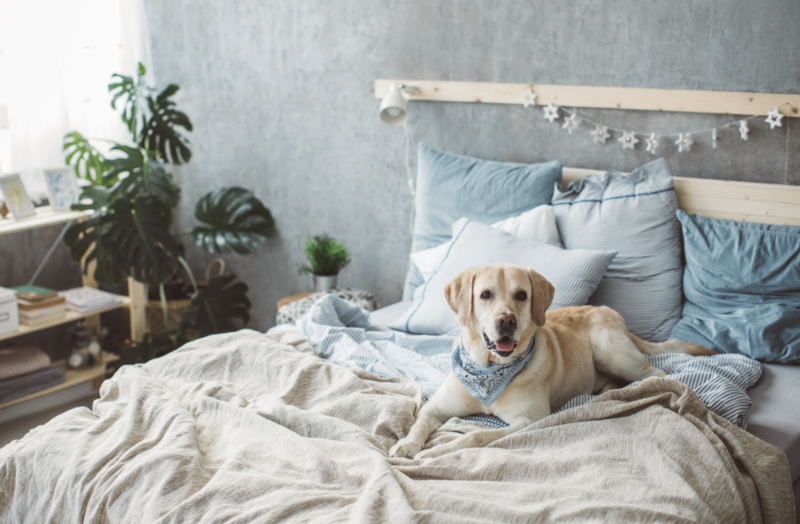 To help you get the beauty sleep you deserve, here are some helpful tips for making your room your personal sanctuary for the best sleep. So. Important. Sure, you can skimp on your comforter, but your mattress is something you definitely want to splurge on. The average lifespan of a traditional innerspring mattress is seven to ten years. Not a long time in the grand scheme of life. Dr. Dominique at Alpine Chiropractic said 20-30% of his patients report waking up with pain issues due to a poor mattress. I know what you’re thinking, mattresses are expensive. Yes, they are, but so incredibly worth it for your health and wellbeing. It’s important to read reviews of top brand mattresses or test yourself. Save yourself the aches and pains and start getting better sleep. Your mind and body will thank you. We’re talking all the neutrals. You guessed it. Neutral tones create a peaceful and relaxing environment. You want a soothing effect in your sleep oasis. Leave the warm and bright colors for other rooms in your home like the kitchen or living room. If you can’t live without the pop of color in your room, use shades of pale blue. Pops of color can also be used with decorative pillows and rugs. The key is making the color subtle. Last, but certainly not least. Clutter is an instant cause of stress, which is the opposite of what you should feel before you crawl in bed. Do yourself a favor and clean your room and de-clutter. This step is easy and requires no money. You’ll instantly feel more at peace and ready for rest with a clean, organized room. Clutter is the last thing that should cause you additional stress during your already crazy day. Good sleep is incredibly important for your overall wellbeing. Diet and exercise are often prioritized, and sleep should be too! These tips can put your mind at peace and help create your perfect sleep oasis.